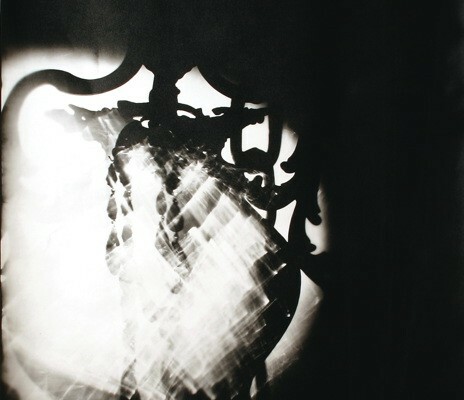 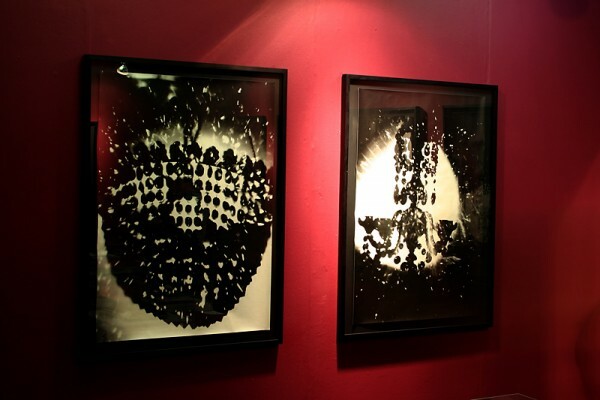 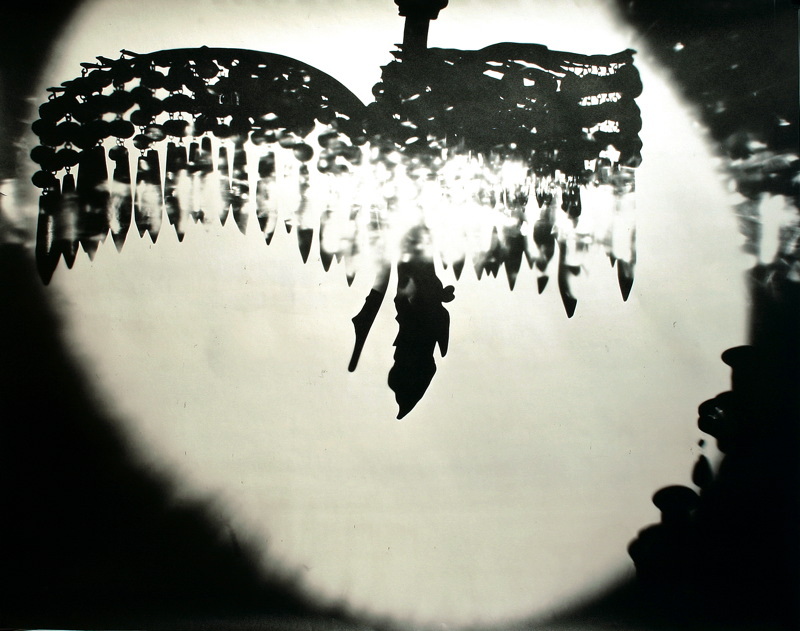 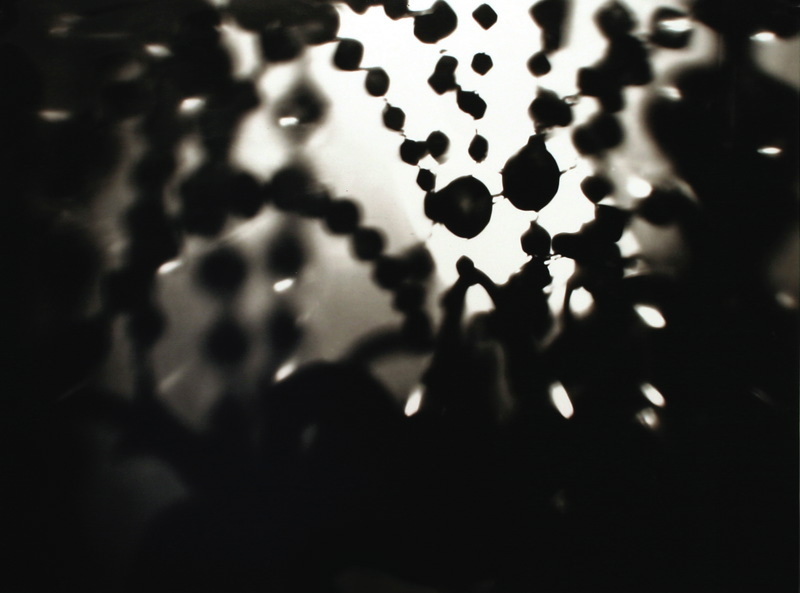 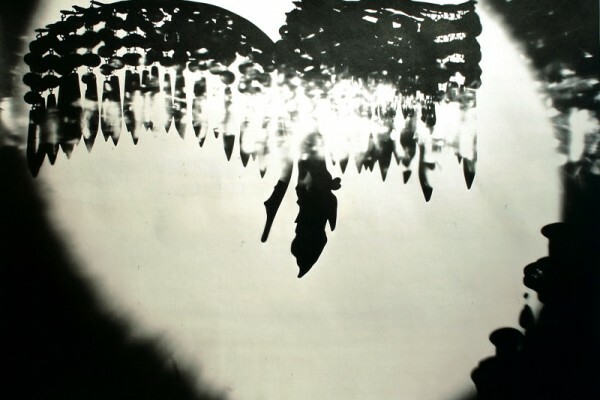 These dramatic luminogram prints offer a series of abstract gothic spectres. 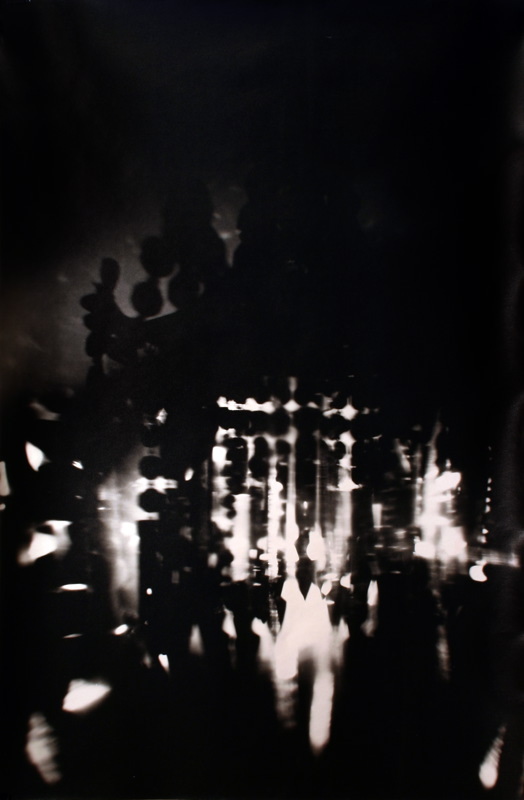 Each chandelier is used as a kind of lens that projects both light and shadow across the photographic paper to create fantastical, illusory landscapes. 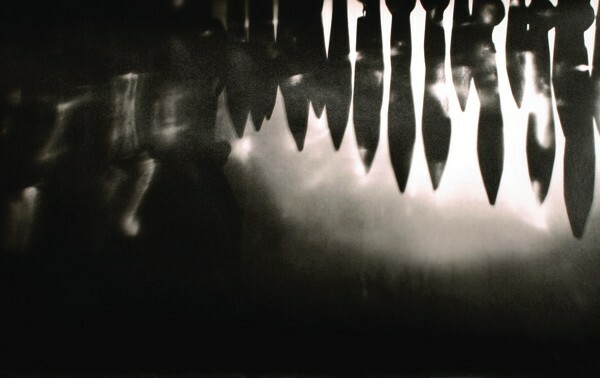 Choreographing the techniques and processes of projection and exposure used in ‘Optic’, this work aims to create highly atmospheric panoramas which may be developed for site-specific applications suitable for a range of venues and contexts. 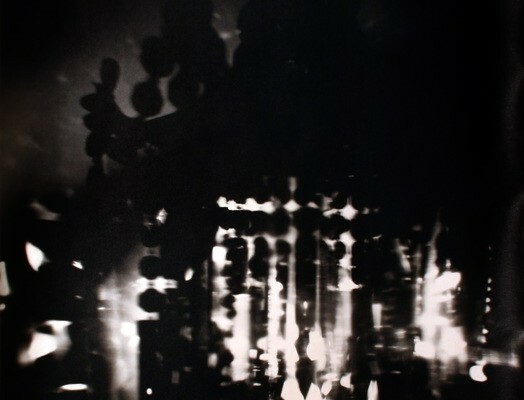 Presented as a lavish selection of prints which celebrate the unique renderings of different cuts of lead crystal glass and offer tantalizing, highly nostalgic references to associated eras of romance and grandeur. 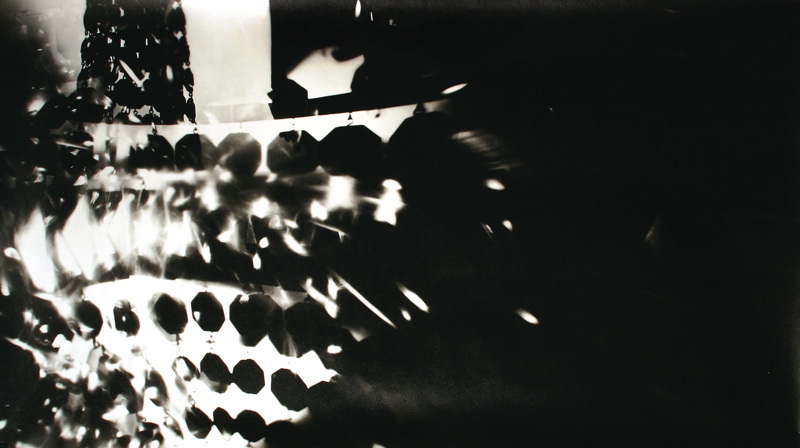 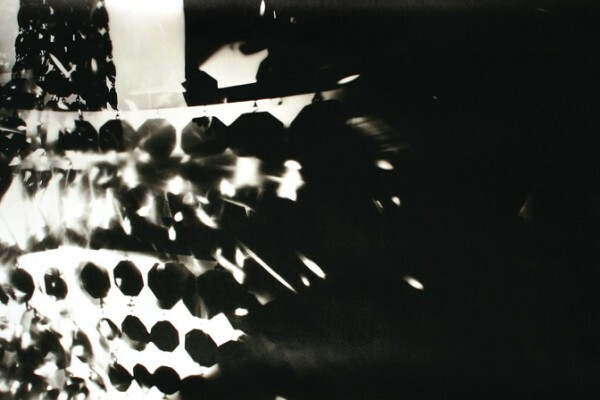 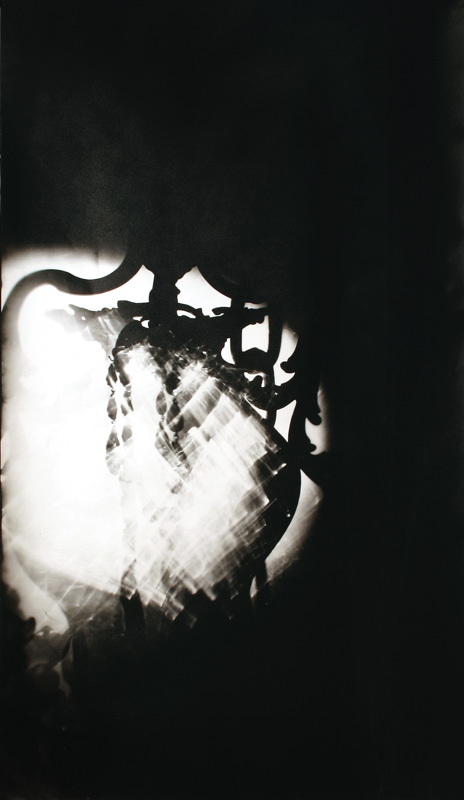 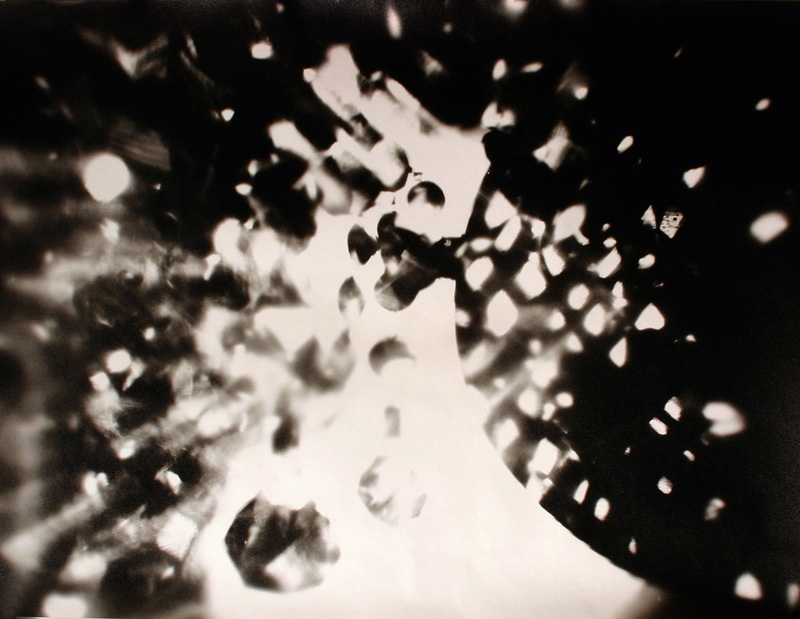 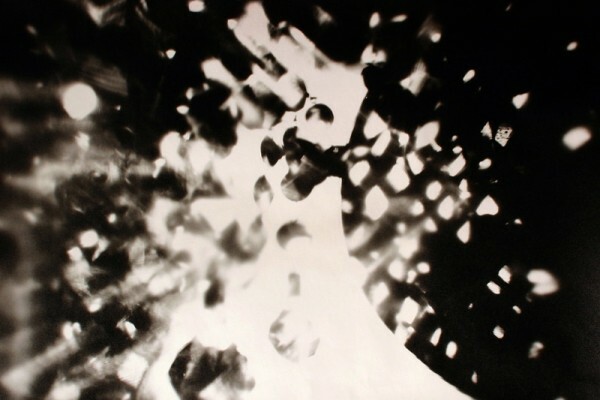 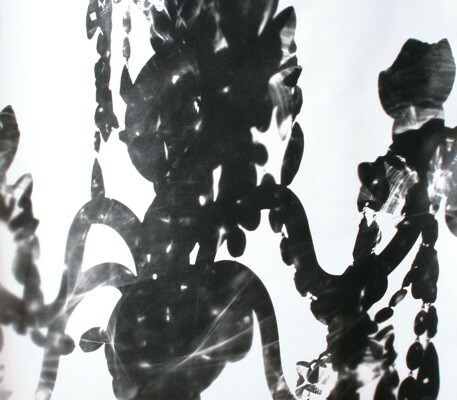 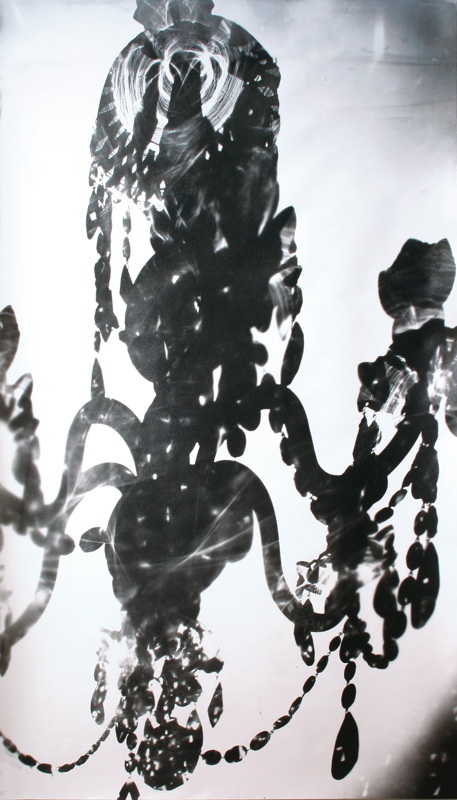 Created from 2006 – 2007 through a series of contact and hand printing processes onto rich fibre based paper, each print has unique qualites, available in small editions of 10. 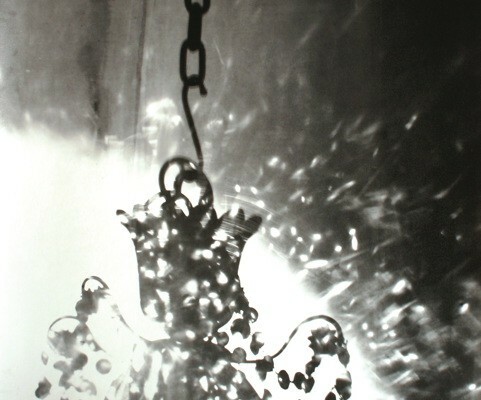 Access to chandeliers used in this project has kindly been facilitated by Denton Antiques, Kensington, London. 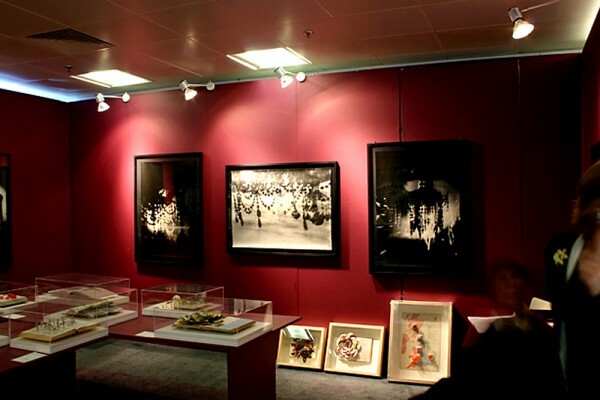 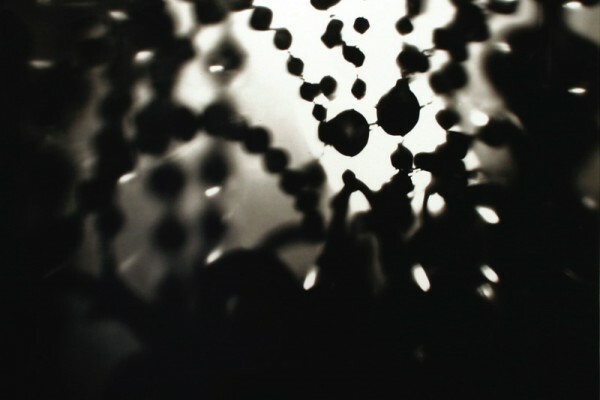 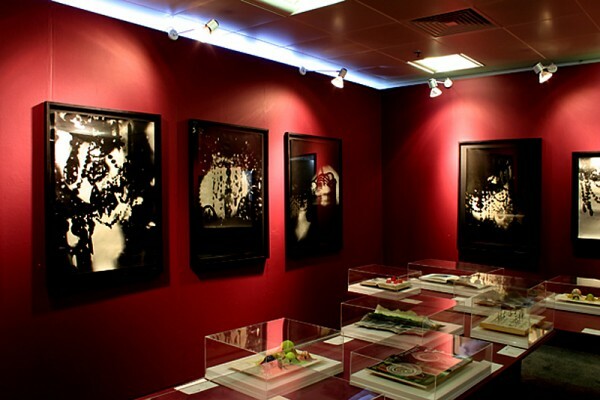 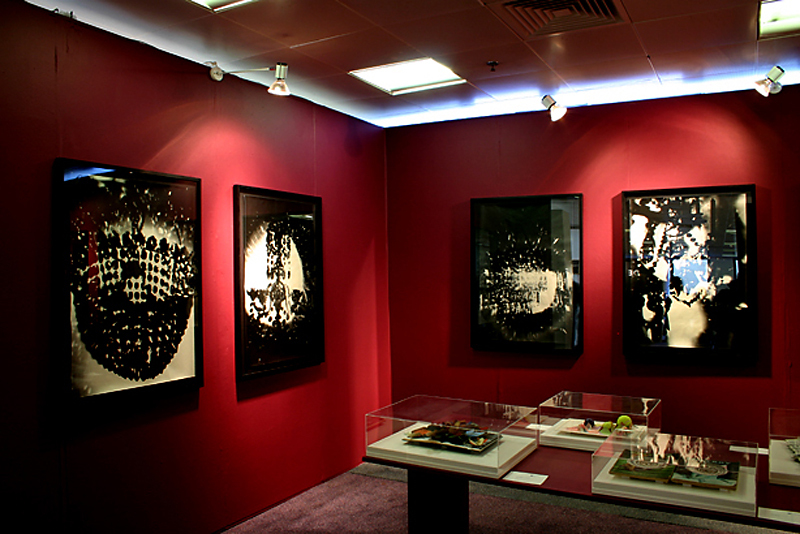 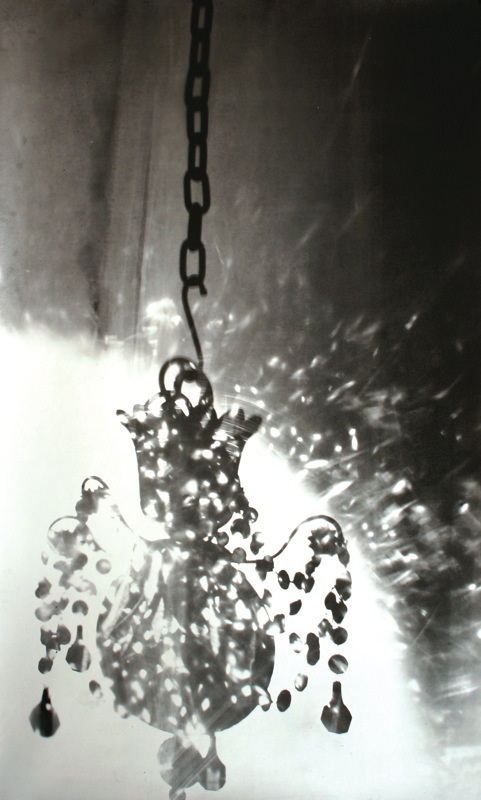 This series has been shown at jaggedart as part of a solo show ‘The Longing of Shadows’ in 2007.